We did it! 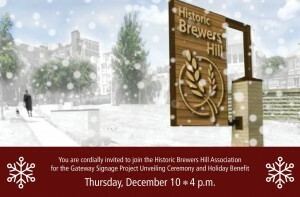 The Historic Brewers Hill Association is thrilled to invite you to the unveiling of our first monumental sign as part of our Gateway Signage Project marking the completion of Phase 1. BAfter much planning and the generosity of community leaders, corporate partners, and neighbors, we will officially unveil our beautiful sign with Mayor Tom Barrett on Thursday, December 10th. (The date was rescheduled from September 9th.) 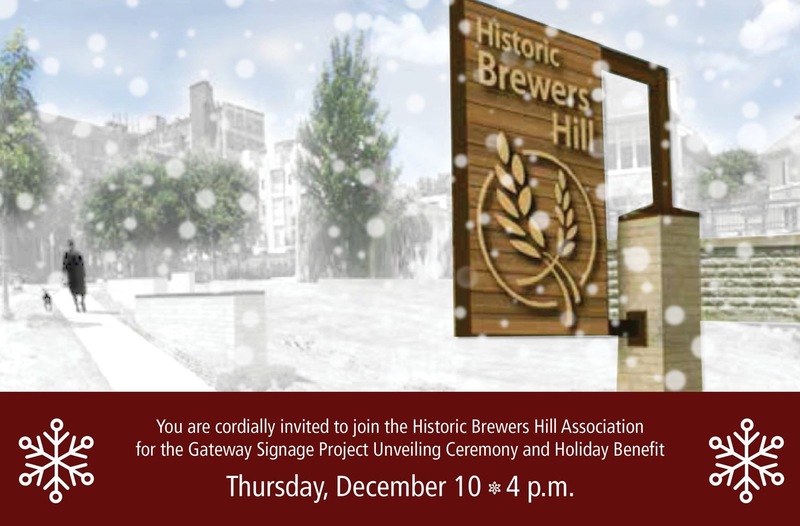 After the short unveiling ceremony, we invite you to a holiday benefit across the street from the sign, to support the financial progression of our Gateway Signage Project. To help grow visibility of this historic corridor to downtown, the project specifically includes monument signage at critical intersections on: North Avenue, Pleasant Street, Holton Street and Dr. Martin Luther King, as well as elegant street light signs at entry points to, and intersections within the Historic Brewers Hill neighborhood. To learn more and stay involved, Like our Facebook page. 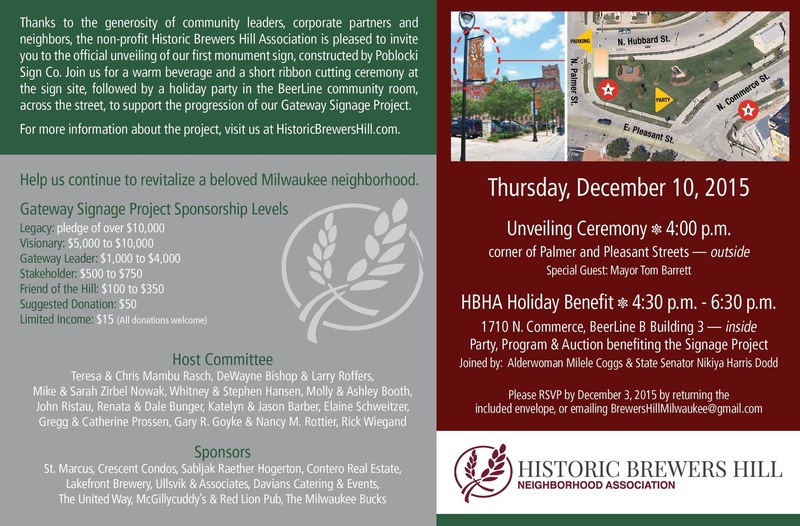 The Historic Brewers Hill Association is dedicated to ensuring that Milwaukee continues to attract a new wave of vibrancy. 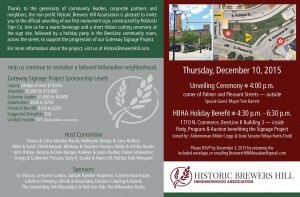 Together, with our community partners and neighbors like you, we can continue to revitalize a key Milwaukee gateway. So mark your calendar for the 12/10 unveiling. We hope to see you there!